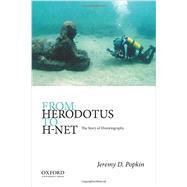 From Herodotus to H-Net: The Story of Historiography offers a concise yet comprehensive and up-to-date account of the many ways in which history has been studied and recounted, from the ancient world to the new universe of the Internet. It shows how the same issues that historians debate today were already recognized in past centuries, and how the efforts of historians in the past remain relevant today. Balanced and fair-minded, the book covers the development of modern academic scholarship, but also helps students appreciate the contributions of popular historians and public history. Jeremy D. Popkin is the William T. Bryan Chair of History at the University of Kentucky. Is There Life After Tenure?